Inquiry Hub had an existing garden that had fallen into disrepair, as there was no one taking care of it anymore. The infrastructure ( planters and dirt, access to water) was there, so I decided to revive it. 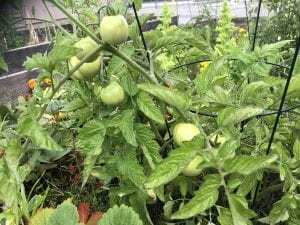 I started a Garden Club and with occasional help from some of the other people that joined it was able to get it going. I made the decision early on to not apply for grants for this year or change anything, but to run the garden as a baseline year to see the state of the planters, soil, etc. Made an inventory of seeds for the garden and growing supplies, and cleared the garden to get it ready for planting. planted flower bulbs for winter/ early spring colour. Tending and watering the plants, especially the vegetables, was crucial during the summer months. The garden is definitely due for a revamp. Several of the planters have boards that fell apart, allowing for less water retention for the plants and more ant infestations. New planters would definitely help! In addition, the soil quality is poor after several years of use. 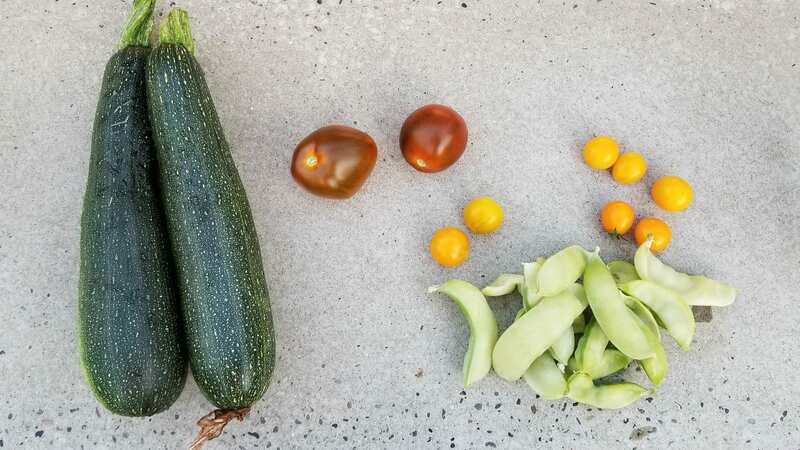 The plants produced vegetables but were small and frail ( and had less yield) than the same plants I planted in our home garden, which has better soil. Some soil remediation ( manure for example), or new soil entirely would really benefit future harvests. 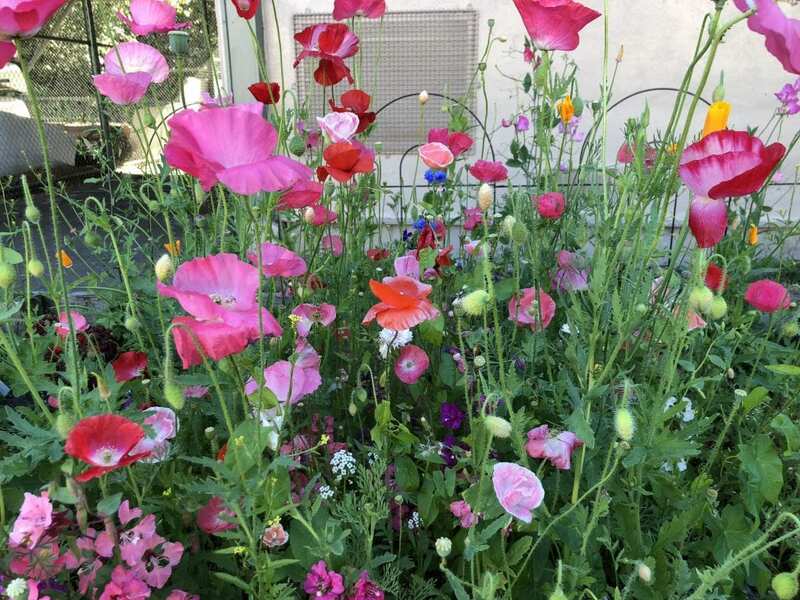 Or, if that’s not possible the flowers and wildflowers really thrived; the soil is just fine if the garden is only a flower garden instead of a vegetable one. I secured a key and brought a garden hose to be able to water the garden during the summer while the school is closed. For the garden to thrive there really needs to be consistent watering, so more people need to be able to help so it’s not just one person doing the watering all the time. Especially with heat/ drought during the summer, it can be really hard to make sure they are getting enough water. The existing apple trees were outside of my project and I was instructed to leave them be, but I would suggest if they are to survive it would be great to have an arborist come to look at them and provide advice. The apples they produced were delicious. 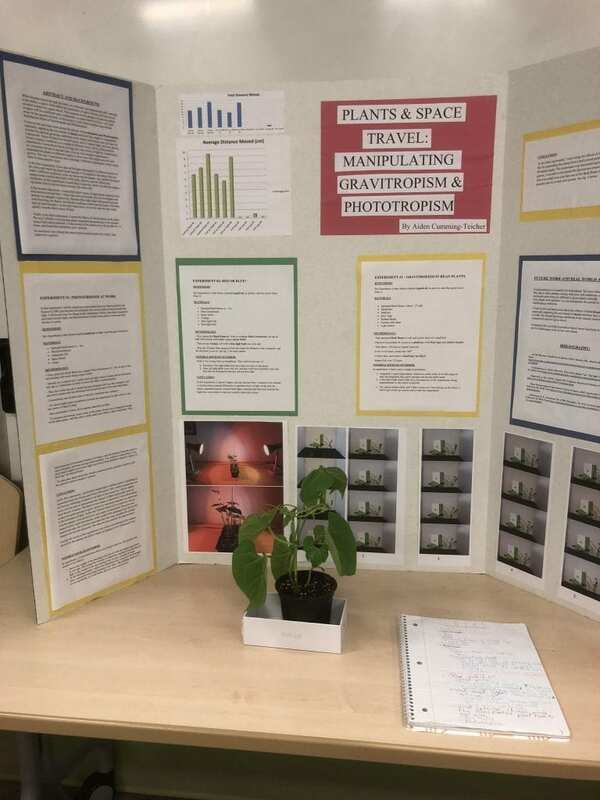 Purpose: I wanted to conduct some practical experiments with seeds (and seedlings) to find out the optimal combination using gravitropism and phototropism to create the ideal environment for growing plants in space. 2. 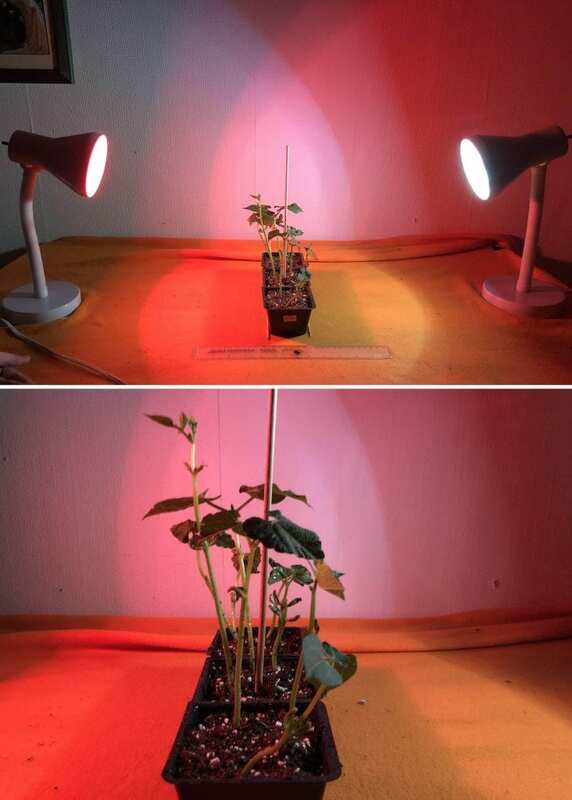 Rates of growth depending on the color light (Phototropism). When humans travel through the stars, we will need one fundamental skill. The ability to grow food within the constraints of space. Botany will become an essential science for space travel. This research for the purpose of growing plants in space will be a difficult task to undertake, as space travel will have very tight areas for the growth of food. 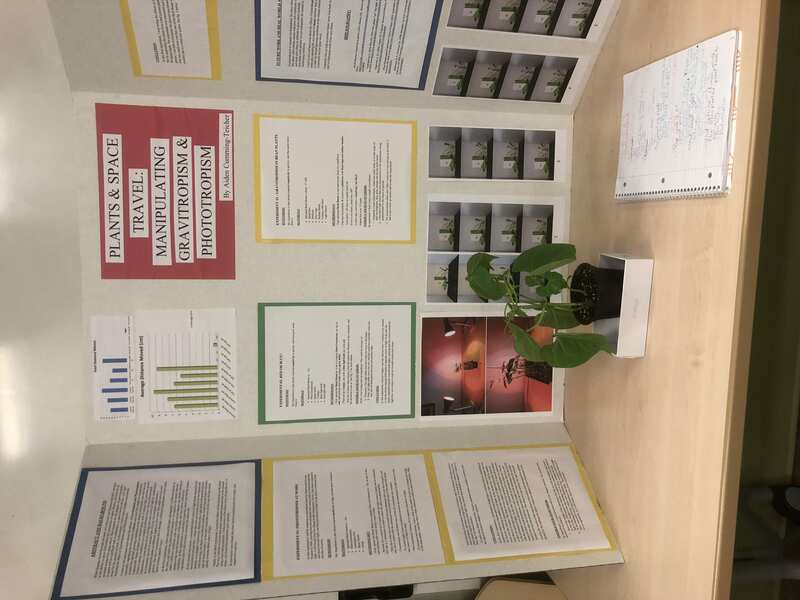 In this project, I have done multiple experiments detailing the effect of Gravitropism and Phototropism. In the first experiment, I have placed the light subsequently in different places on the table, and watch the plants bend towards it. 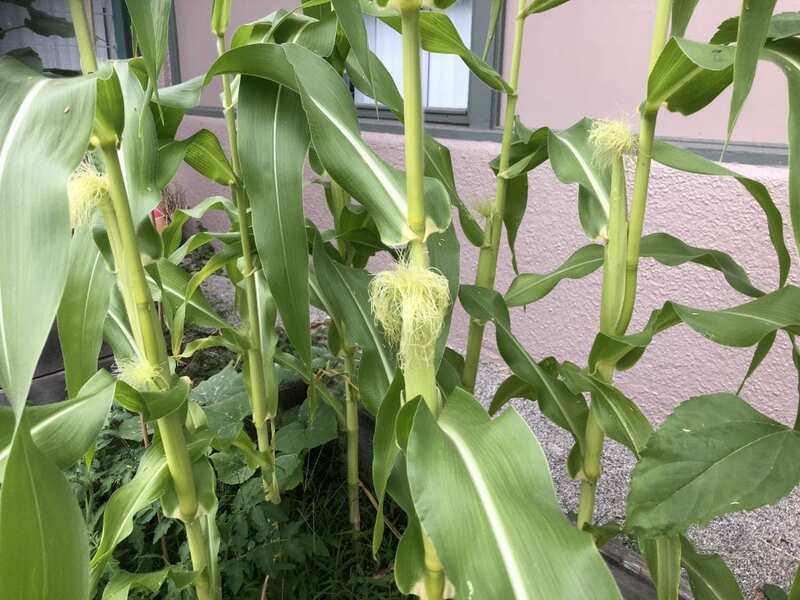 In regards to the plants, they are under 3 different conditions, with one set having an opaque cap, another having an opaque wrap over the lower half of the stalk, and one control without any conditions. In this experiment I found what I expected, which was that the opaque cap plants (Set A) did not bend, however the others did. In the second experiment, I researched which colour of light plants respond to the best between red and blue. I chose blue and red because they are the longest and shortest wavelengths respectively. Because blue light helps with growth and red with flowering my theory was that the seedlings would respond more to the blue light & bend towards it. In the end I found that was not the case but they bend equally towards either source of light. Finally in the third experiment, I tested the effects of Gravitropism on the plant. The way I did this is having bean plants suspended perpendicular to the ground using a ball jointed platform. 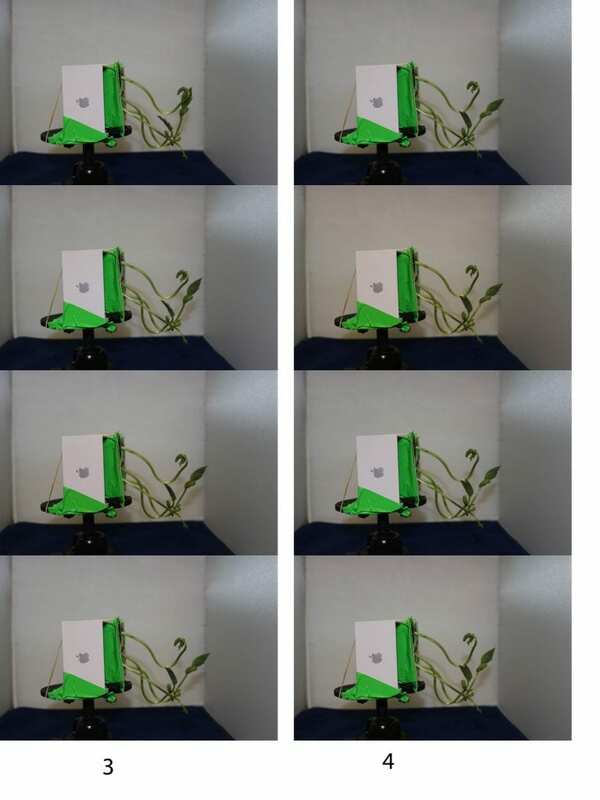 I took pictures of the plants every 20 minutes for 12 hours, and found that indeed they grew upwards. In conclusion I have found that plant shoots respond positively to light, and negatively to gravity. In this experiment I will be adapting an experiment done by Darwin and his son Francis in 1880, proving that phototropism will cause a plant to bend towards the light. I will be proving two things in this experiment. Firstly, that plants respond to and bend towards light, and that perception of light in the plant is removed from the site of action. My Hypothesis is that shoots respond positively to light, and thus grow towards it. – Second, do a control set (3 seeds) with one light source (Lamp) and no aluminum foil cap in 2 directions, in order to show the effect of phototropism. – Run experiment 3 times, all in separate directions of light. In this first experiment, I positioned a bright light in different places, modifying an experiment done by Charles and Francis Darwin in 1880. I had an opaque cap over the first set, inhibiting its ability to see light. In the second set, I had an opaque cover over the stem to demonstrate that sensory of light is physically removed from the site of action. The final set was simply a control set. I chose Bush Beans as they are quick and easy to grow, and in my experience respond very drastically to the movement of light. In the end, I found results to be as expected. The set with the opaque cover did not move very much, as anticipated. However, one source of error could that because of the weight of the aluminum foil, this set did bend to one side, but it did not come back the other way, therefore the average distance moved was minuscule. The other two sets towards the light normally. Overall, the results of this experiment were correct and anticipated but perhaps skewed by the medium for which I made my opaque covers (Aluminum Foil). EXPERIMENT #2: RED OR BLUE? My Hypothesis is that shoots respond negatively to gravity, and thus grow away from it. – Wait for 24 hours then measure from the center the distance to the coleoptile, and the direction it was in. See fig. 3 for more details. In this experiment, I placed 2 lights; one red, and one blue. I wanted to see whether or not the plants respond differently to separate colors of light. In the end, the plants responded equally towards both lights, meaning that they bent towards the light they were closest to and not towards a particular colour. Originally I used wheat plants, which not really work, as in this stage of their development, they grow straight and do not really bend. Food production is essential for humankind. We have inhospitable environments like space, other planets, terrain with poor soil conditions or places like the north and south pole where its difficult to grow plants normally. We need to understand how plants work and how we can manipulate the stimuli to help them thrive in challenging conditions. 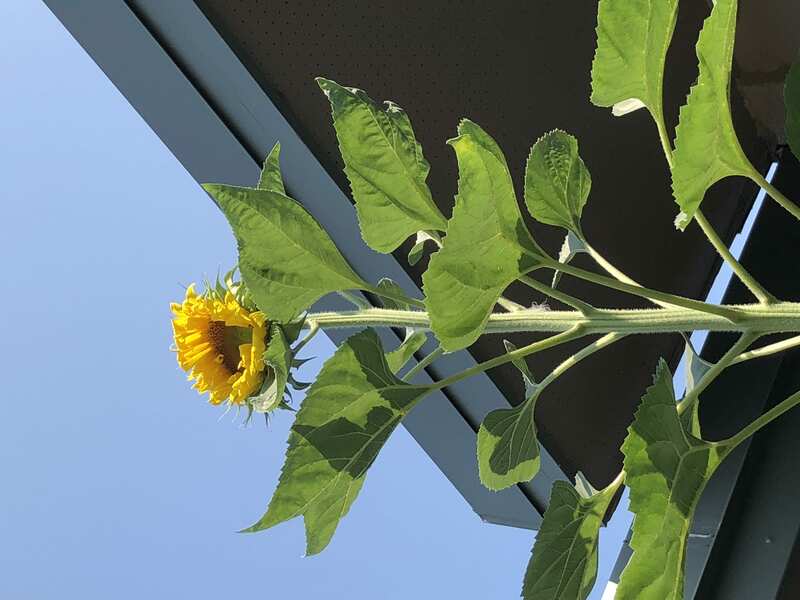 I want to test and learn more about the effects of Gravitropism and Phototropism, especially regarding the movement of shoots and how they might be manipulated in order for optimal growing conditions in the unique restrictions you may have on a spacecraft and for space travel. Eventually this can help us produce better/ more food both for space exploration and in challenging areas of our own planet. I presented my findings at the Science Expo in Coquitlam late in the Spring. Sadly I fell ill and could not stay long to present my research. I would also have liked to have the opportunity to go beyond replicating experiments and focus on 3d Printing a 3d design to replicate conditions of zero gravity, but due to illness was unable to work on that. 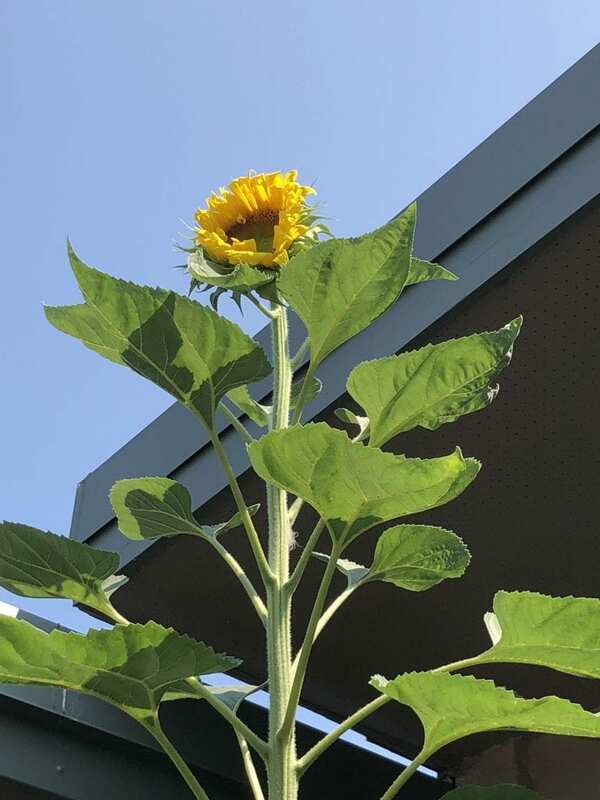 The delicious rewards from the garden were harvested and shared with classmates and teachers at the school- tomatoes, rhubarb, zucchini, apples (turned into apple bread), carrots, corn, kale, cabbage, beans, peas and sunflowers. 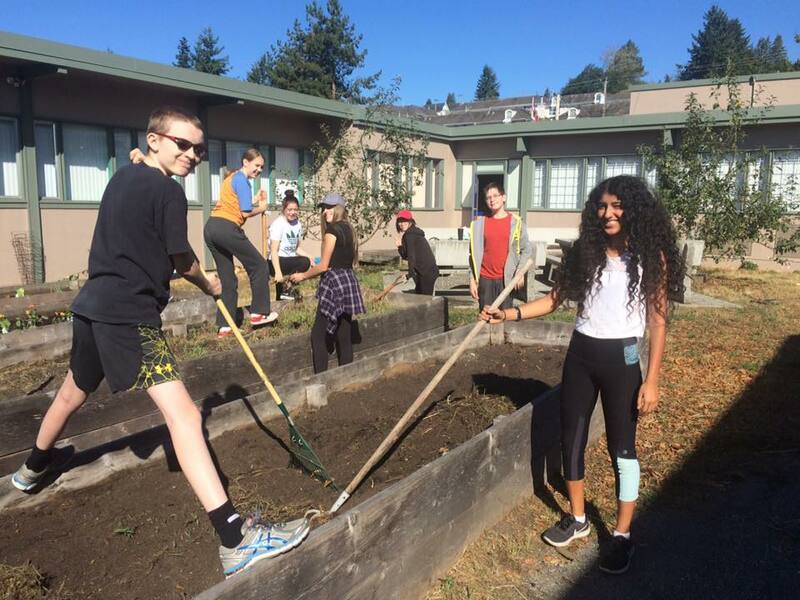 I enjoyed both the learning and research aspect of plant biology and the actual growing and caring for a school garden. 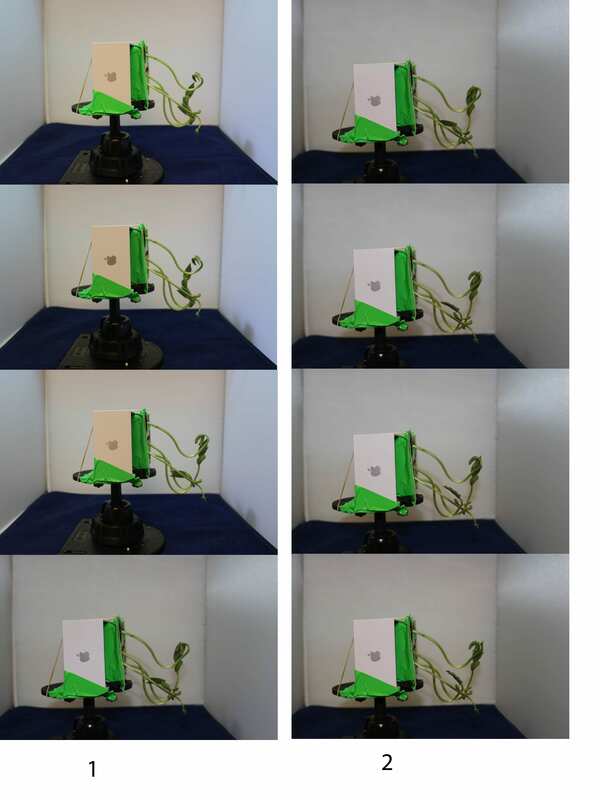 From my plant biology research I would have liked the time to spend on creating a prototype. Some suggestions I have after this year for the garden to be more successful would be to have a larger group of people take it on and focus on revitalizing it from planters, soil, weeding etc and create a schedule with dedicated volunteers. I enjoyed growing (and eating ) vegetables, but it’s definitely more than a one man job.